This paper proposes a new method for distributing votes in democratic elections in such a way that allows for the public to put their trust in independent candidates or those from small political parties. Using the case of a party founded by the authors called The Pluralist Party the paper presents primary data to evaluate the effectiveness of the method – called delegated transferable voting (DTV). 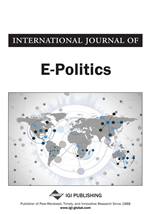 Using an auto-ethnographical empirical study in which one of the authors plays a significant role as anthropologist, the paper finds that DTV is more likely to lead to the election of independent candidates over party political ones. Pluralism advocates the election of those who are independent of political party whips in order to best represent the people. The election of independent candidates or small parties is a model of pluralism that can achieve this. The empirical study, through investigating the campaigning methods used by The Pluralist Party, shows that putting effort into an election – whether money, materials or labour and however funded – can improve outcomes for political parties. Making use of official government data in addition to the collected data showed that a higher number of votes for the Pluralist Party was associated with a higher education level, more rooms in a household, a lower number of people not in education, employment or training, and a lower ‘knol,' which is a unit for measuring brain activity. Government fragmentation, which allows for pluralistic representation of non-partisan interests is an emerging area of discussion. Government fragmentation is useful, as the separation of powers and responsibility is at the core of any democratic system (Gong & Janssen, 2012). Government fragmentation is aggravated by the possibility that small political parties emphasize particularistic interests in their campaigning and legislative activity (Cirone & Urpelainen, 2013). Thus the strategy of LGBT activists in Mexico has been to launch their own candidates from small political parties while building coalitions with other civil-society groups to pressure the larger parties (England, 2014). In Liberia the small political parties (those with less than 3 per cent of the vote or no representation in the presidential race), and independent candidates, are still prevalent, holding over a third of House seats and half of all Senate seats (Harris & Lewis, 2013). In Latvia, the key actors for the (mostly Russian-speaking) 'non-citizens' have been small political parties and interest groups – in a sense, 'outsiders on the inside', in but not fully of Latvia or the EU in terms of formal citizenship status (Saward, 2013). Web 2.0 might move on this debate so that within election campaigns, political participation is not limited to voting (Lilleker & Jackson, 2011). In Africa the Internet has become a valuable tool, not only in helping promote pluralism within the media, and support the existence of independent media, but also in promoting participation of different actors in public debates (Salgado, 2012).